Most of my friends disowned me after my coming out in favor of the 2010 “Clash of The Titans” and my saying that I liked it a lot. They saw my liking of the film as a betrayal of the original version that was the last movie done by stop motion visual effects legend Ray Harryhausen. I never understand why nowadays people feel it necessary to have to like one version of a movie over another. Can’t you like two versions of a movie for different reasons? And one of the reasons why I liked 2010’s “Clash of The Titans” is that it wasn’t a slavish remake of the original. It took the basic story and put its own spin on it. Much like how those ancient Greeks took the original myths and legends and every time they retold the story, they added stuff on or left stuff out they didn’t think was important. It’s the same reason why I like WRATH OF THE TITANS. It has many of the same characters as the previous movies and adds some new ones to change up the character interaction dynamics. It gives Perseus a new motivation to go on an heroic quest. It gets in what I think are some knowing, loving winks to the Harryhausen movie. Bubo the mechanical owl makes another cameo appearance that I didn’t expect, didn’t see coming and made me laugh as the scene he appears in played out. And like the previous movie, I was surprised that I liked it a lot more than I thought I would. Perseus (Sam Worthington) has been living peacefully for ten years, earning his daily bread as a fisherman. He’s been raising his son Helius (John Bell) alone as his wife Io died giving birth. Perseus is happy with his life and says so to his father Zeus (Liam Neeson) who comes to Perseus for help. Since men no longer pray to the gods their power is fading away and so they cannot keep imprisoned the demons kept in the underworld prison of Tartarus. Perseus has no wish to become involved again in the business of the gods. It’s up to Zeus, Poseidon (Danny Huston) Hades (Ralph Fiennes) and Zeus’ other son Ares (Edgar Ramirez) to go down into Tartarus and fix things. But it turns out to be a trap. 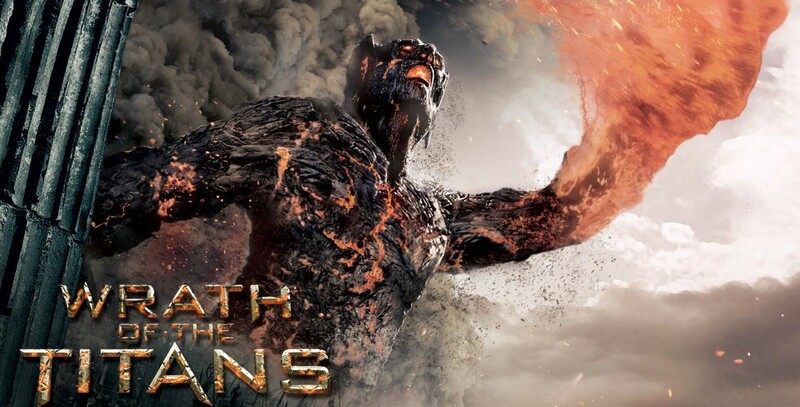 Hades and Ares have cut a deal with the imprisoned Kronos, the most powerful of The Titans: they drain Zeus’ power to free Kronos and they will be part of the new pantheon of gods once Kronos is back on top. Poseidon gets away and gives his trident to Perseus, charging him with passing the weapon on to Poseidon’s demigod son Agenor (Toby Kebbell) Perseus goes one better. After rounding up Agenor and Queen Andromeda (Rosamund Pike) he sets out to descend into Tartarus and rescue Zeus. To do this he’ll need the help of Hephaestus (Bill Nighy) who constructed Tartarus and the insanely impossible labyrinth the intrepid band have to navigate and survive to reach Zeus. And even after that, Perseus must recover two more powerful weapons to join with the Trident of Poseidon to form The Spear of Triam, the only weapon that can stop Kronos. 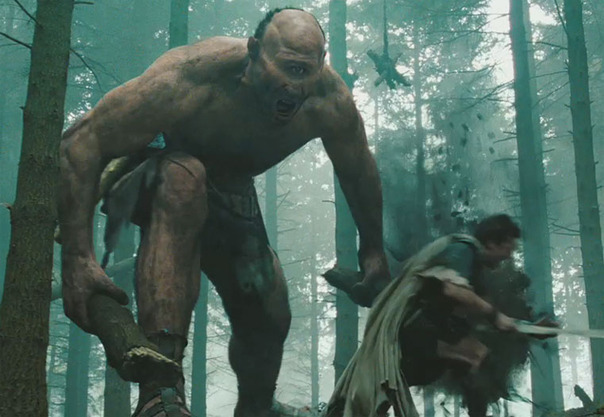 I really enjoyed WRATH OF THE TITANS because it’s so unpretentious. This isn’t a movie that’s out to reinvent the genre. Its sole purpose is to tell an entertaining adventure fantasy story for 100 minutes and I felt entertained once it was over. Rosamund Pike takes over as Andromeda from Alexa Davalos who played the role in “Clash of The Titans” and she brings a whole new energy to the role. Which is welcome as Andromeda has much more to do in this movie, strapping on a sword and fighting right alongside Perseus. Toby Kebbell brings some welcome humor to the adventure as the son of Poseidon who is much more of a trickster than the heir to the throne of the God of the Sea. Liam Neeson and Ralph Fiennes have a lot of screen time together in this one in a really nicely performed character arc revolving around their characters that is brought to a resoundingly satisfying conclusion. Sam Worthington appears more relaxed in this movie and allows Perseus some moments of warmth and humor and he even gets to smile. I’ve liked Edgar Ramirez ever since seeing him in “Carlos” and he brings a good intensity to his role as Ares as if he’s been doing this kind of movie all his life. So should you see WRATH OF THE TITANS? If you saw the 2010 “Clash of The Titans” and didn’t like it then there’s no reason why you should want to see this one. But if like me you did enjoy it then I see no reason why you wouldn’t want to see this one. I did enjoy the effects of the movie, but I felt the story was weak in Wrath. There are some major plot holes in both movies. Then we have the “wife dies between movies” trope which would have made this Perseus character devolpment more interest to me. I wanted to see how he overcame that loss. Anyways, it is a B-movie that good for popcorn night once a year, but that is it. Love your parting comment there, Derrick. I too liked both versions of CLASH and so the trailers for this sequel had me keeping my fingers crossed it would be just as much fun as the remake was. So in reading your review, I’m there. Gonna go out and get tickets for a Monday showing. Thanks amigo. Oh, and we do agree, no sin in liking two versions of a movie. I love (strong word that) both the original (my favorite movie of all time) KING KONG and Peter Jackeson’s remake. And I also truly enjoyed both versions of Elmore Leonard’s western 3:10 TO YUMA. Here’s my thinking, Ron: if you’re going to dislike a remake, dislike it because it’s a genuinely bad movie and not just because it’s a remake. Like you, I love both the original and Peter Jackson version of KING KONG for different reason but at the main reason is this: at the core of both movies is the same spirit and that’s what really counts. And that’s the way I feel about both versions of CLASH OF THE TITANS: the same spirit of imagination is the heart that pumps the blood of heroic adventure through the body of both movies. I think you’re gonna have a blast with WRATH OF THE TITANS.